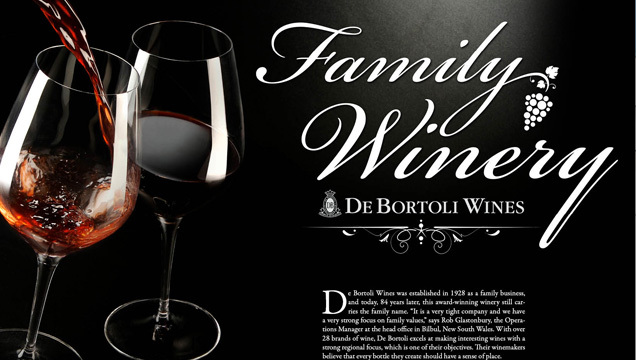 De Bortoli Wines was established in 1928 as a family business, and today, 84 years later, this award-winning winery still carries the family name. 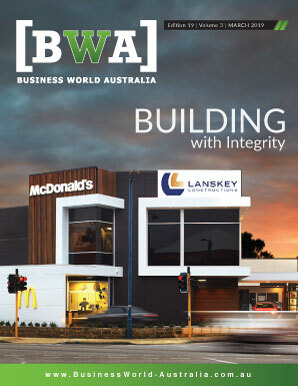 “It is a very tight company and we have a very strong focus on family values,” says Rob Glastonbury, the Operations Manager at the head office in Bilbul, New South Wales. With over 28 brands of wine, De Bortoli excels at making interesting wines with a strong regional focus, which is one of their objectives. Their winemakers believe that every bottle they create should have a sense of place. Although the head office is situated in Bilbul, New South Wales, there is also an international arm of the company with a presence in the United Kingdom, Europe and the United States. All in, De Bortoli has about 500 employees spanning three different continents. Wine is not the only beverage made by De Bortoli, though; they are also in the beer brewing business. The family purchased brewing plant Sovereign Hill in the 90’s, says Glastonbury, and they had previously attempted to brew but only distributed the product in kegs. The project did not prove a success and was “moth-balled” until 2005. “When I arrived at De Bortolis and given my history in brewing, Darren De Bortoli asked if we could have an attempt to try to get it all going again, we trialed a number of brews, using different malts, hops and yeasts and then put them out to experienced industry people for tasting. From there, we then selected and refined the preferred beers and that’s how our first brand Red Angus was developed.” Red Angus is a pilsener style, with strong malt and hop characters. 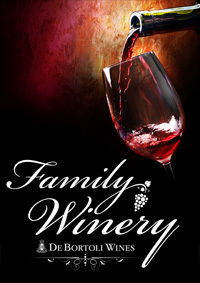 Although their main business is without a doubt wine, they are hopeful that the brewery side will continue to grow. “William Bull is still very, very small, when we started we were doing one brew a week, now we’re up to two brews every day, four days a week. “We are trying to ensure that brewing stands on its own two feet as a business, our first objective is to have volume and margin to cover our costs”. Glastonbury believes that 200,000 to 250,000 cases per year would be a good volume for the brewery and at the moment they are about half-way to that target. Sustainability is not something this winery takes for granted, and just like their focus on family values, it is something that is essential to the business model. “Our focus on sustainability really ties into the family’s values. The De Bortoli’s have been here since 1928, so nurturing farmland through sustainable practices is very close to their heart.” With over 8,000 acres of farmland this is no small task, either. Their sustainable practices include smart water management, biological farming, compost and mulching and packaging and waste management. Their ultimate goal is to be known as the ‘Zero Waste Wine Company’. But sustainability was not always on their radar. “Our neighbor’s odor complaints nudged us into taking a look at our environmental management practices. Once we started managing our environmental processes correctly, we also found that it made good business sense, in that the changes we made started paying for themselves almost instantly as well as improving the general amenity around our winery.” Glastonbury says that while the whole idea of environmental management now fits really neatly with their general risk management processes. Entwine is a program that certifies winemakers and wine grape growers for their sustainable practices through audits against recognized environmental standards. De Bortoli Wines was the first Australian winery to receive an Entwine Environmental accreditation from the Winemaker’s Federation of Australia. “De Bortoli’s have therefore focused on ensuring their product has shelf presence, for example in the last 12 months we have completed over 200 product revamps within our product ranges,” he says. “We greatly value any form of external recognition as it plays an important part in supporting our product marketing,” continues Glastonbury. For example, awards and recognitions are a nice pat on the back, but they also have a positive impact on sales as they make a person’s decision to buy a wine a much safer decision. “One real advantage we have as a family company is that things can be done very quickly when required and I think that is where we’ve made a lot of ground in the last couple of years. We have demonstrated this to our larger customers and now they actively seek to work with us to create products that fit neatly into their markets.” As the company continues to grow, the family ties will continue to be at the core of their success.